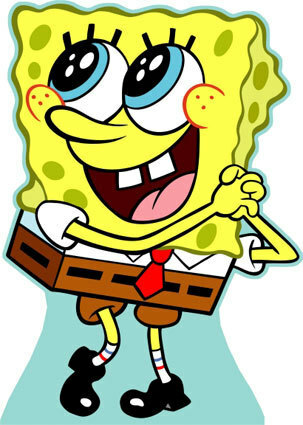 spongebob. . Wallpaper and background images in the スポンジボブ・スクエアパンツ club tagged: spongebob squarepants. This スポンジボブ・スクエアパンツ photo contains アニメ, 漫画, マンガ, and コミック. "Cleanliness is 次 to managerliness." "You like Krabby Patties don't あなた Squidward!" This is sooo cute imma put it on ma profile just like at him dot u just wanna go AWWWWW!!!! !